You dream it? We can make it! While our shop is full of beautiful goods, it is just the beginning in showing off what we can create. We’re proud to offer a variety of custom, gift, and wholesale options, to appeal to a wide array of individual and client needs. All of our leather-goods produced on site also include free custom monogramming with purchase! Many of our goods are available in a variety of sizes and colors, which can be made-to-order upon request. Leathers are available on-site to choose from in person. Our full-grain belts are also cut to measure upon ordering, after sizing you for the perfect fit. Please send us an email inquiry using the form below to set up a fitting or made-to-order request. The team at Gemini Handmade go beyond what’s on the floor with their extensive capabilities in creating custom goods that meet all your needs. All of our goods on the floor come with free custom monogramming, and can be ordered in a variety of colors that are available to pick from on site. Jacob also offers fully customizable bags and briefcases for your everyday needs, including options in waxed canvas and leather- send us an email using the form below to inquire for more details! Many of our goods are available to purchase in small batches for the purpose of family, corporate, or event gifting. We also offer custom options for these batches for engraving and monogramming; please inquire below to make an appointment to discuss timelines and pricing details! We’re proud to work with other businesses and brands to create products that fit their vision and goals. Ranging from branded merchandise to full-line building + category production, the Gemini Handmade studio is capable of ongoing construction and creation of quality leather + canvas goods for your business, for years to come. Please send us an email via the form below to make an appointment to meet with us and learn how we can partner together! 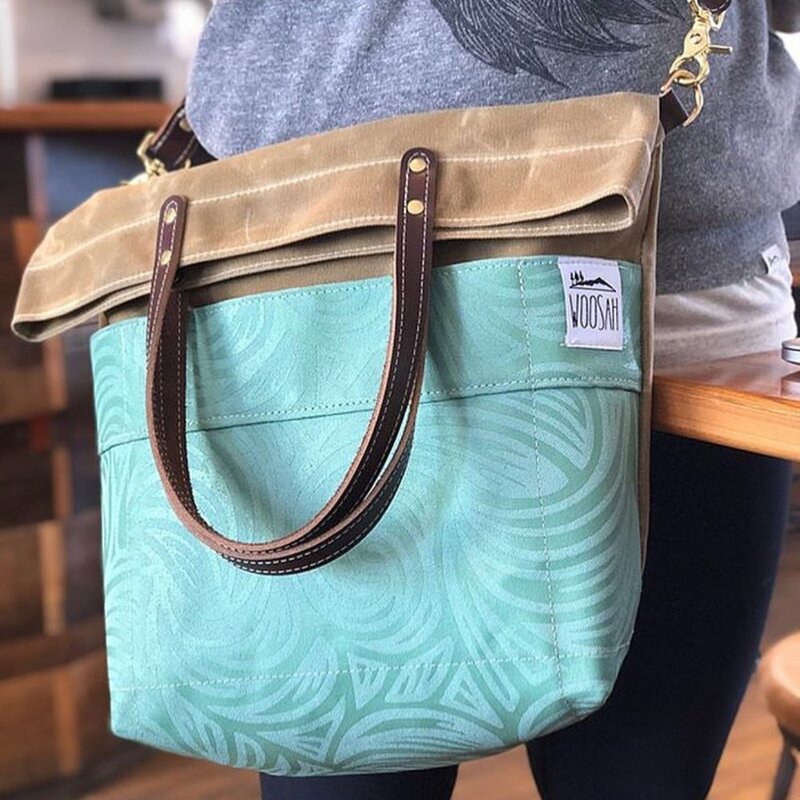 Products from the Littlewings Designs and Harbinger Leather Design lines of goods are available for wholesale purchase for your own shop or boutique. Before they were Gemini Handmade, Jake and Elyse operated their own brands of handmade leather-goods; they continue to do so, and are proud to partner with other boutiques around the country that carry their work. Please inquire via the email link below for a line sheet and pricing information. Describe what you're looking for and introduce yourself here. Let us know what you're looking for and if you have any specifics, like necessary deadlines, color requests, etc. Do you have a logo you'd like etched, specific artwork, or references that will help us better understand your request? Check any of the below that apply, and then follow-up by sending them via email to geminihandmadegr@gmail.com. Thank you for your interest in working on a custom project with Gemini Handmade. A member of our team will respond to you soon!